NBC ‘s ‘Emerald City’ Receives 10-Episode Order!!!! 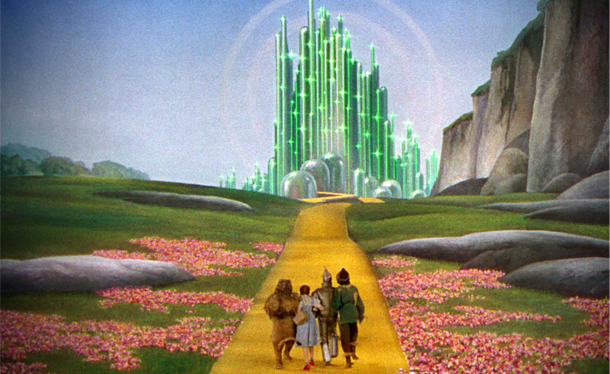 If you want your ‘Wizard of Oz‘ as a NBC drama, you’re in luck! Granted, NBC canceled the primary effort that was in the works for a 10-episode straight to series order, but they have since redeveloped the project with a new writer and executive producer, David Schulner. The description of the series places it relatively close to the original premise but, will have its own quirks. According to NBC – In the blink of a tornado’s eye, 20-year-old Dorothy Gale and her K9 police dog are transported to another world, one far removed from our own, a mystical land of competing kingdoms, lethal warriors, dark magic and a bloody battle for supremacy. This is the fabled Land of Oz in a way you’ve never seen before, where wicked witches don’t stay dead for long and a young girl becomes a headstrong warrior who holds the fate of kingdoms in her hands. Last January ‘Emerald City‘ was moving forward from executive producers Matthew Arnold, who originated the idea and worked as architect on the script, then Josh Friedman joined the project providing tweaks to the script and ran the writers room. Many scripts later, it was realized NBC head honchos and Friedman’s visions about the show diverged, leading to NBC’s decision to cancel. Universal Television, who developed the project and producing, refused to take the “No” that NBC gave them and has been trying to shop it in other markets with little success, once Schulner came on board, the project appears to have been fast-tracked to be ready for next season’s pilot schedule. I’m not sure this is how I want my ‘Wizard of Oz‘ fix delivered, but something has to be better than ‘Oz the Great and Powerful‘. This entry was posted on Wednesday, April 15th, 2015 at 5:10 pm	and is filed under Books, Film, News, Television. You can follow any responses to this entry through the RSS 2.0 feed. You can skip to the end and leave a response. Pinging is currently not allowed. « Fox’s ‘Grease: Live’ Has Cast Leading Ladies And Directors!! !